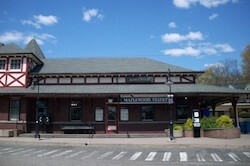 Total Home Cleaning welcomes Maplewood, New Jersey, also known as “Brooklyn West,” which was recently singled out by the New York Times as a testament to “diversity.” Maplewood may be in New Jersey, but some say a New York state of mind prevails because there are so many from the Big Apple who have migrated there. That may be, but New Jersey is New Jersey and Total Home Cleaning offers professional house cleaning services with a personal touch to Maplewood, NJ. Total Home Cleaning is locally owned, serving homeowners in communities throughout the Garden State. It is among the 31 percent of businesses in this country owned by a woman, Ines Cohron. Cohron says that being local and not a corporate outsider means reinvesting more back into the communities you serve, as well as having a deeper understanding of those who live there. A detailed cleaning system and highly trained and incentivized employees are the keys to the success of Total Home Cleaning. Our clients are our neighbors, and we know that each. Every home is personal living space that requires careful attention and respect.